With Republicans winning big in the midterm elections, the debate over so-called “free trade” agreements could again take center stage in Washington. President Barack Obama has been angling for “fast track” authority that would enable him to push the proposed Trans-Pacific Partnership, or TPP—a massive trade agreement between the United States and a host of Pacific Rim countries—through Congress with limited debate and no opportunity for amendments. So let’s look closely at the real impact that trade agreements have on people and the environment. A prime example is the Dominican Republic-Central America Free Trade Agreement, or DR-CAFTA. Brokered by the George W. Bush administration and a handful of hemispheric allies, the pact has had a devastating effect on poverty, dislocation and environmental contamination in the region. They warned of the unemployment, poverty, hunger, pollution, diminished national sovereignty and other problems that could result if DR-CAFTA were approved. But despite popular pressure, the agreement was ratified in seven countries—including Guatemala, Nicaragua, El Salvador, Honduras, Costa Rica, the Dominican Republic and the United States. Overall economic indicators in the region have been poor, with some governments unable to provide basic services to their population. Farmers have been displaced when they can’t compete with grain imported from the United States. 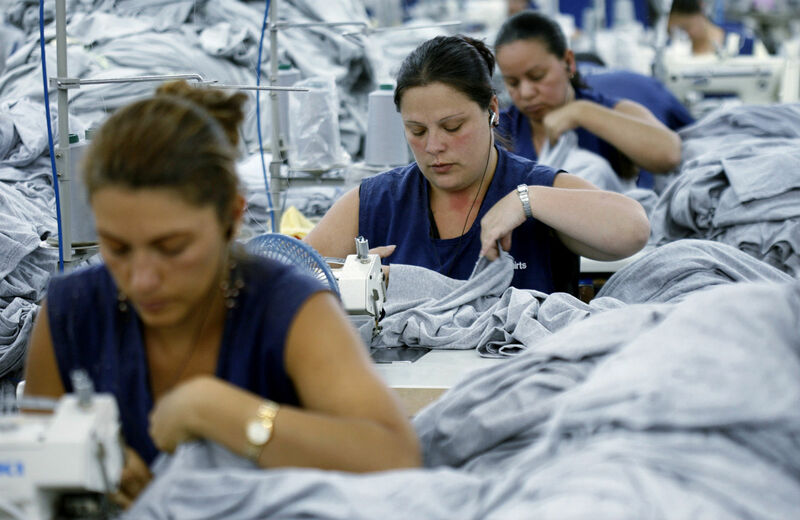 Amid significant levels of unemployment, labor abuses continue. Workers in export-assembly plants often suffer poor working conditions and low wages. And natural-resource extraction has proceeded with few protections for the environment. Contrary to the promises of US officials—who claimed the agreement would improve Central American economies and thereby reduce undocumented immigration—large numbers of Central Americans have migrated to the United States, as dramatized most recently by the influx of children from Guatemala, El Salvador and Honduras crossing the US-Mexican border last summer. Although most are fleeing violence in their countries, there are important economic roots to the migration—many of which are related to DR-CAFTA. These perverse incentives have led to environmental deregulation and increased protections for companies, which have contributed to a boom in the toxic mining industry—with gold at the forefront. A stunning 14 percent of Central American territory is now authorized for mining. According to the Center of Research on Trade and Investment, a Salvadoran NGO, that number approaches 30 percent in Honduras and Nicaragua—and rises to a whopping 35 percent in Honduras. Yet both countries are being punished for heeding their citizens’ demands. Several US and Canadian companies have been using DR-CAFTA’s investor-state provisions to sue these governments directly. Such disputes are arbitrated by secret tribunals like the International Center for the Settlement of Investment Disputes, which is hosted by the World Bank and is not accountable to any democratic body. In 2009, the US-based Commerce Group sued El Salvador for closing a highly polluting mine. The case was dismissed in 2011 for lack of jurisdiction, but El Salvador still had to pay several million dollars in fees for its defense. In a case still in process, the gold-mining conglomerate Pacific Rim has also sued El Salvador under DR-CAFTA for its anti-mining regulations. To get around the fact that the Canadian company wasn’t from a signatory country to DR-CAFTA, it moved its subsidiary from the Cayman Islands to Reno, Nevada, in a bid to use the agreement’s provisions. Although that trick failed, the suit has moved forward under an outdated investment law of El Salvador. Elsewhere, Infinito Gold has used DR-CAFTA to sue Costa Rica for nearly $100 million over disputes related to gold mining. And the US-based Corona Materials has filed a notice of intent to sue the Dominican Republic, also claiming violations of DR-CAFTA. These costly legal cases can have devastating effects on the national economies of these small countries. Of course, investor-state disputes under DR-CAFTA are not only related to mining. For example, TECO Guatemala Holdings, a US corporation, alleged in 2009 that Guatemala had wrongfully interfered with its indirect subsidiary’s investment in an electricity distribution company. Specifically, TECO charged that the government had not protected its right to a “minimum standard of treatment”— an exceptionally vague standard that is open to wide interpretation by the international tribunals that rule on such cases—concerning the setting of rates by government regulators. In other words, TECO wanted to charge higher electricity rates to Guatemalan users than those the state deemed fair. Guatemala had to pay $21.1 million in compensatory damages and $7.5 million in legal fees, above and beyond what it spent on its own defense. The US-based Railroad Development Corporation also sued Guatemala, leading to the country paying out an additional $11.3 million, as well as covering both its own legal fees and the company’s. Elsewhere, Spence International Investments and other companies sued Costa Rica for its decision to expropriate land for a public ecological park. And it’s not just DR-CAFTA. The many investor-state cases brought under the North American Free Trade Agreement (NAFTA), and in countries all over the world, have exposed the perniciousness of investor protection rules shoehorned into so-called “free trade” pacts. Many governments are realizing that these agreements have tied their hands when it comes to protecting their own environments and citizens. We must use these egregious investor-state cases to highlight extreme corporate power in the region. We must work to help Central Americans regain livelihoods lost to ruthless extractive projects like mining. And we must change trade and investment agreements to stop these excessive lawsuits that devastate communities, the environment and democracy itself. Manuel Pérez-RochaManuel Pérez-Rocha is an associate fellow at the Institute for Policy Studies in Washington, DC. Julia PaleyJulia Paley is the associate editor of Foreign Policy In Focus.